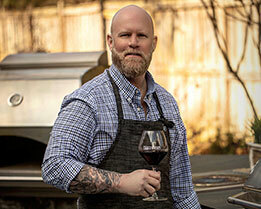 In my opinion, onions complement every meal with amazing flavor and texture. Oh, and I can’t forget about my beloved peppers; I love having some heat in my food to spice things up! With that in mind, I’m always looking for new ways to add a big hit of flavor to meals and it’s even better if I can do so using a product that has straightforward, simple ingredients. Screamin’ Onionz have become a go-to for me. You’ve guessed it—-I found it on the ‘gram! 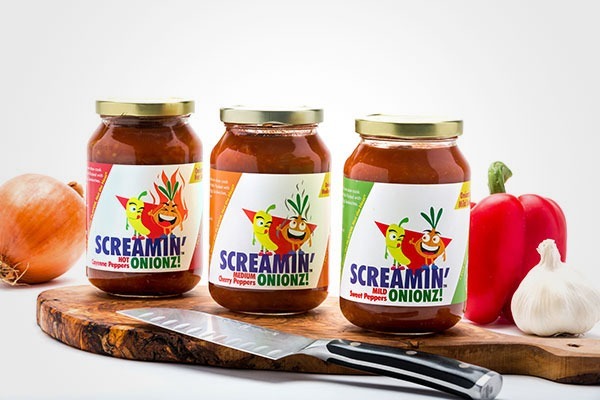 I am always curious to see what other foodies are using and was intrigued when another user posted about Screamin’ Onionz on Instagram. I had to get a jar immediately and try it myself. Screamin’ Onionz is a New York based company started in 2014. The first batches were jarred by hand and sold at fairs and festivals. After getting glowing reviews and earning a cult following, Onionz made it onto the shelves of Whole Foods Market in July 2015 and grew quickly through their Northeast Region. 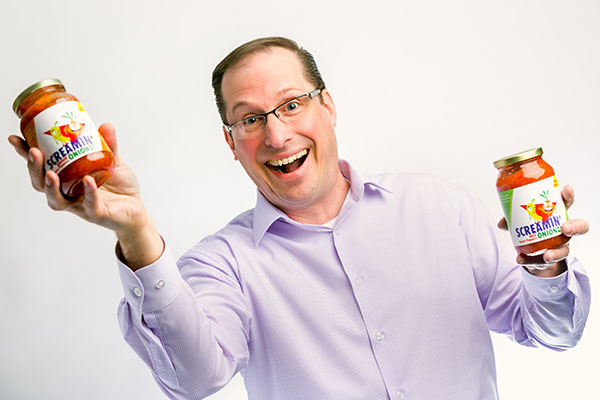 In 2016, Screamin’ Onionz began offering online ordering on their website loveonionz.com and started producing Onionz in Gallons for restaurants and foodservice institutions. In June 2017, Screamin’ Onionz graduated from the Hudson Valley Economic Development “Bet on My Business Academy” and in October 2017, they were awarded the Think Dutchess Business Excellence Award for the Best Young Business. Each jar is packed with onions and peppers. The onions are sliced up and cooked in a delicious concoction for hours so they don’t have a raw flavor to them. The ingredients are fairly simple: peppers, onions, vinegar, and garlic—-no added sugar, so if you’re watching your calories this is a great option. The flavor is not overwhelming but, rather, it enhances your dishes with just enough acidity, heat, and crunch. There are three versions: mild, medium, and hot. Mild has no heat since it is made with sweet peppers, medium has cherry peppers for a slight kick, and hot has cherry peppers and cayenne peppers. I’ve tried them all and use them regularly. If you have an aversion to the heat, don’t be afraid to experiment with the hot version, it has a pretty good kick but it isn’t so spicy that you’ll need a glass of milk. That said, I have a pretty high tolerance for heat, so others may not agree with me on this one! Screamin’ Onionz are so versatile, they can be added to literally anything. I use them on sandwiches, eggs, salmon, sautéed vegetables, chili, mixed into sour cream for an incredible onion dip, the list goes on. My favorite combination so far is adding them to a white wine, garlic, butter & caper sauce for pasta and shrimp—-talk about good eats! If a dish is missing something in flavor, or even if it isn’t and you just want to kick it up a notch, Screamin’ Onionz is the answer. Try them, and let me know how you like ‘em!